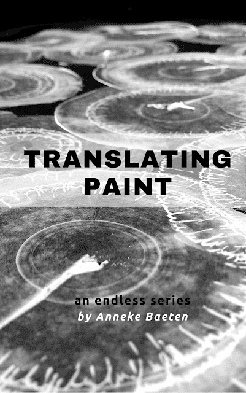 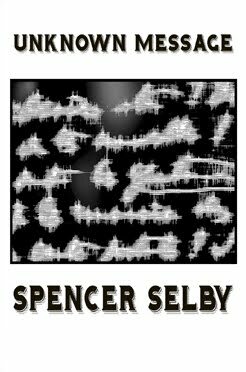 The New Post-literate: A Gallery Of Asemic Writing: This is an updated list of books of asemic writing available for purchase at Amazon. 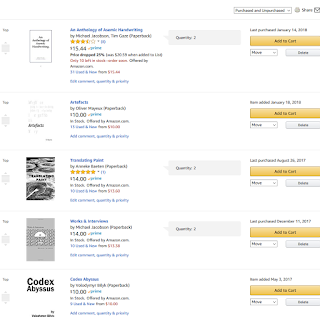 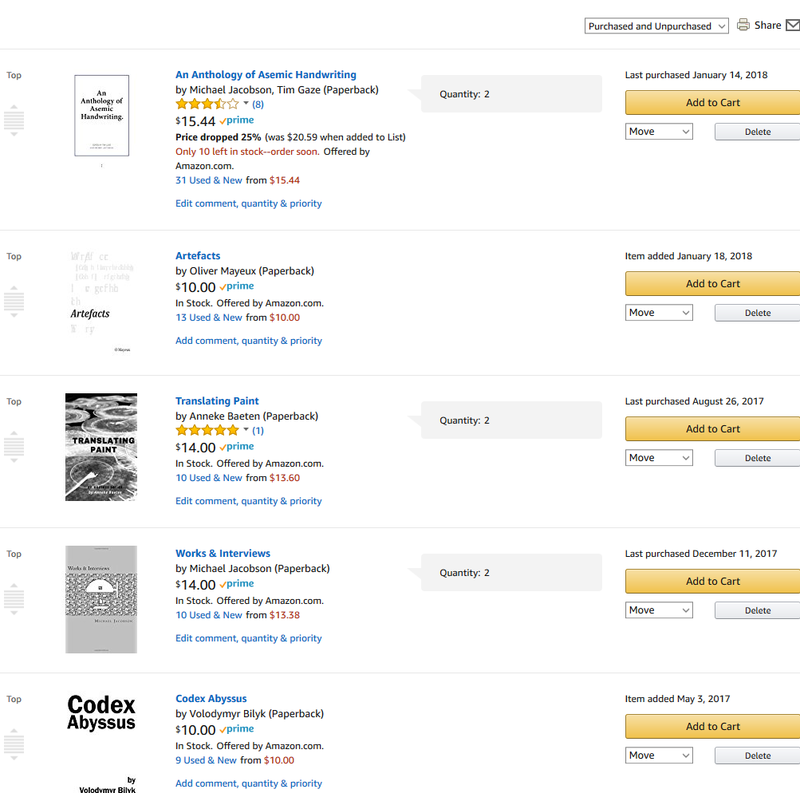 This is an updated list of books of asemic writing available for purchase at Amazon. 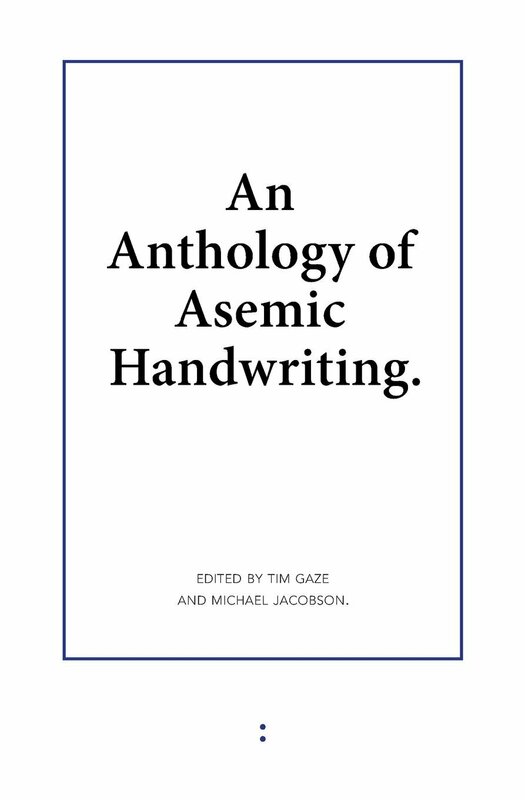 This is an updated list of books of asemic writing available for purchase at Amazon. 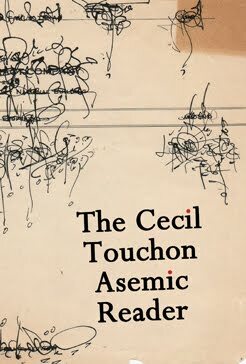 Asemic writing is a wordless open semantic form of writing which often appears as abstract calligraphy, non-verbal writing, illegible writing, or damaged writing. 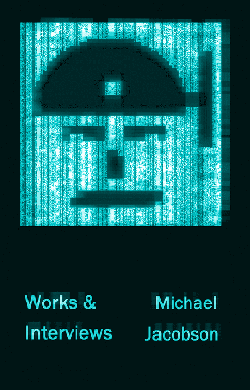 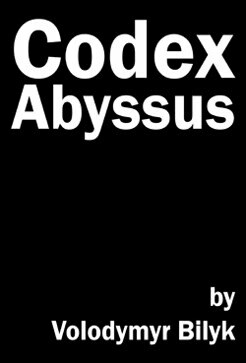 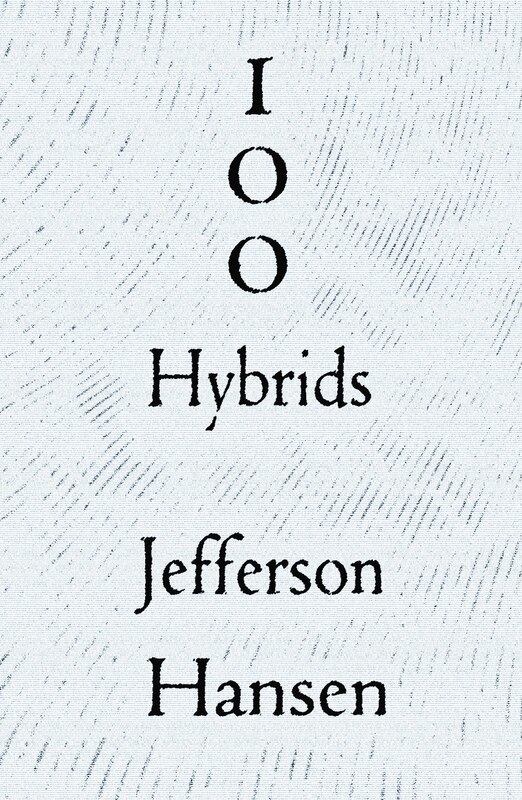 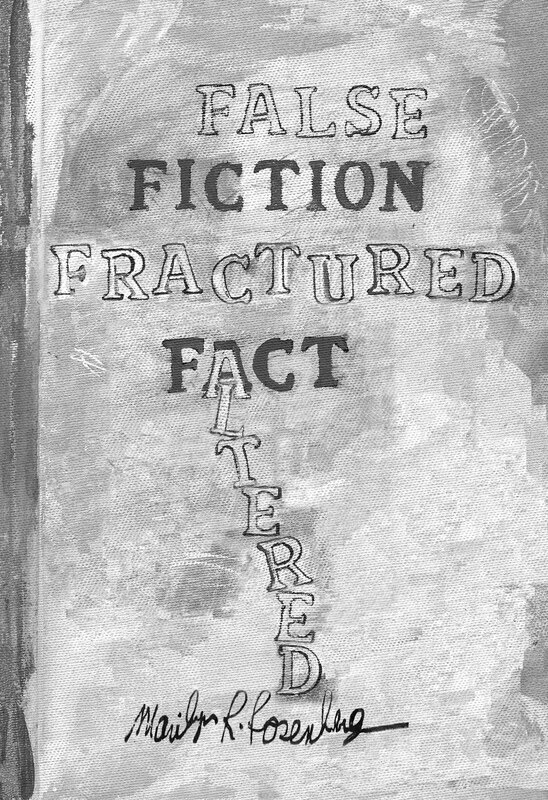 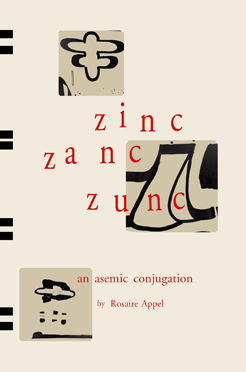 This list also contains all Post-Asemic Press titles (6 so far) and other related works published by other presses. 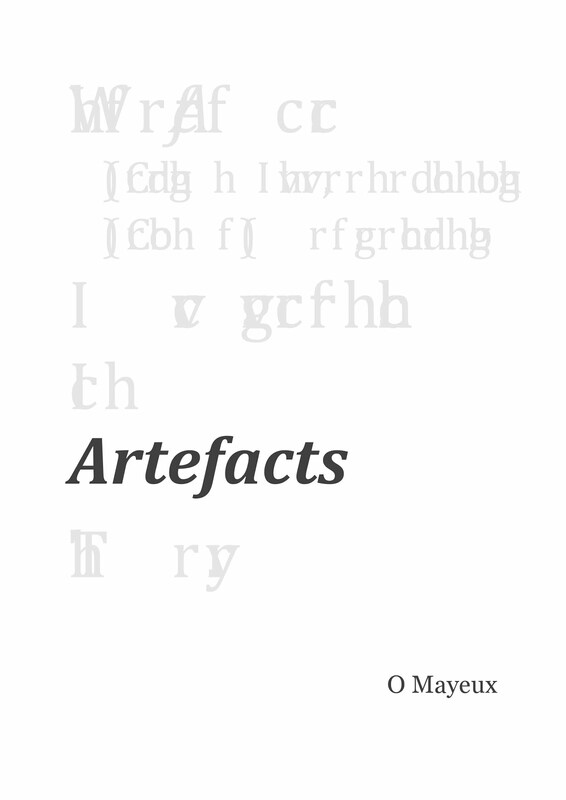 Authors and their works included on the list are by Tim Gaze, Michael Jacobson, Oliver Mayeux, Anneke Baeten, Volodymyr Bilyk, Rosaire Appel, Spencer Selby, Mirtha Dermisache, Federico Federici, Sam Roxas-Chua, Denise Lach, Jose Parla, Lucinda Sherlock, Xu Bing, Henri Michaux, Brion Gysin, Timothy C. Ely, Jay Snodgrass, Haros Lopez, Israel F, Paul A. Toth, Max Ernst, Luigi Serafini, Rory Link, and The unknown author of The Voynich Manuscript.